All those old video tapes you own are slowly degrading. The longer you leave it, the more they'll deteriorate. Use our simple kit to make them digital and they'll last a lifetime. Copy all those old videotapes to your Mac, then upload to iTunes, iPad, Apple TV, Facebook, YouTube or burn to DVD. Transfer your wedding video, school play, ski holiday, skydiving epic or safari adventure. Contains all the USB leads, software and instructions required to link your VCR or camcorder to your Mac. • Convert VHS, S-VHS and Betamax video tapes to DVD using your Mac. • Grab video from any VCR or camcorder with a Scart or RCA output. • Attach any camcorder to your Mac - VHS-C, Video8, Hi8, Digital8, Mini-DV. • Grab video from more modern set-top & satellite boxes. • Copy USA NTSC tapes in colour using a UK VCR with NTSC playback. 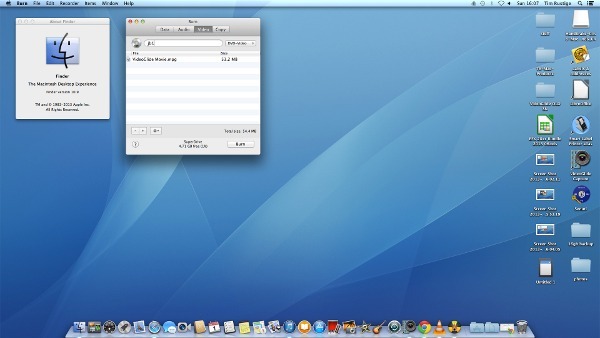 • Transfer old videos into your iTunes library and onto other devices. • Burn to DVD, copy to USB drive, or upload to backup sites like Dropbox. • Edit videos using iMovie or Final Cut Pro. • Copy to USB memory stick & watch them on your Kodi or Apple TV box. • Share your old videos with friends & family on YouTube or Facebook. • Store backups of your precious videos safe in iCloud. VideoGlide. Record from any VCR or camcorder. Footage can then be edited using iMovie or Final Cut, imported into your iTunes library & copied to a DVD-R or USB memory stick. VLC Media player - check your captured video plays perfectly before archiving to USB stick, uploading or recording to a DVD. BurnOSX - Make a DVD that will playback in any DVD player. Compatible with internal and external USB DVD writers. Why risk sending your tapes away by post? Our instructions are clear and concise. We guarantee that you will turn a VHS tape into a DVD in an afternoon. Money back if not delighted. Some recent eBay feedback below. What will the kit copy? What won't it copy? Anything else you have, on what looks like a regular blank tape, should be transferable. You can connect any older camcorder or VCR - we supply a one metre phono lead and a phono to Scart adapter. 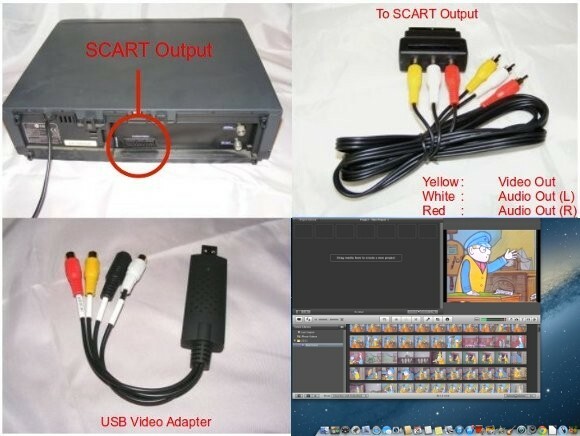 Just plug the Scart adapter into the back of your VHS video player, attach the phono lead, connect the USB capture device to the phono lead, plug the USB adapter directly into your Mac. Install software provided. Capture to Mac. Burn to DVD. What spec Mac do I need? Snow Leopard (10.6.8), Lion (10.7.5), Mountain Lion (10.8.5), Mavericks (10.9.5), Yosemite (10.10.5), El Capitan (10.11), Sierra (10.12), High Sierra (10.13.6) and Mojave (10.14.3 ) OSX. Technical info : The software supports PAL & NTSC devices. Both S-Video and Composite video inputs are supported by the software & USB hardware (we supply a composite lead). Even and odd fields are combined into single frames that can be captured at full frame rates for the applicable standard (VHS Upscaling). The maximum supported frame size is: PAL (UK & Europe) 720 x 576 (DVD quality) @ 25fps / NTSC (USA) 720 x 480 @ 30fps. Captures from PAL 50, PAL60 and NTSC_433 sources in colour - good for UK NTSC playback VCRs. Captures video & audio via a USB port to a standard uncompressed Quicktime .MOV or H.264 or MPEG-4 movie file. Our adapter performs time base correction on the incoming signal, which means even your wobbly & wavy 1980s wedding video can be transferred, providing it plays back okay on a TV. You can attach VHS-C, Video8, Hi8, Digital8 & Mini DV camcorders via RCA phono outputs, as well as any VCR with a Scart output. You can also attach more modern devices like, Freeview, satellite & cable, hard drive recorders - basically anything with a Scart output. Also, if you have an older pre-Scart Betamax or VHS player with separate Video & Audio out sockets, we can supply a free BNC bayonet to RCA phono adapter, just ask. In addition to the USB adapter, we also supply a Scart adapter and a one metre long RCA phono plug to plug lead with all orders, so the kit can be used with all VCRs and camcorders. Our kit will grab from any VCR or camcorder at DVD resolution with no loss of quality. It will keep recording until you run out of hard drive space. Video & audio will stay in perfect sync. Edit using iMovie or Final Cut Pro. 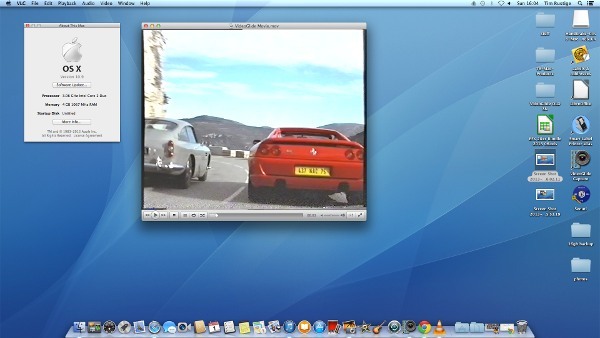 Burn to DVD using iDVD or Burn OSX. The DVDs you make will play in any DVD player. Q. How easy is it to use Video-2-Mac? A. Just follow our printed instructions & copy what we do in the video tutorial. Q. Does the kit work with the latest Mojave 10.14.3 ? A. Yes. We've personally tested it with Mojave 10.14.3 on the 4/02/2018 . Q. How long does it take to get one hour of video onto a DVD? A. Capturing one hour of video takes 60 minutes. You can then copy it to a USB stick or edit it in iMovie. Burning to DVD takes another 10 minutes. Q. How much video can I fit on a blank DVD? A. Two hours on a 4.7GB DVD-R. Three hours & thirty minutes on a dual-layer 8.5GB DVD+R. Q. My Mac doesn't have a CD/DVD drive, so how do I install the software? Q. My Mac didn't come with iMovie, Final Cut or iDVD, can I still use your kit? A. Absolutely. Capture using the provided software and your video is in a standard H.264 file which can be shared on a USB stick or over the internet and viewed on any PC or Mac using the free VLC Media Player. 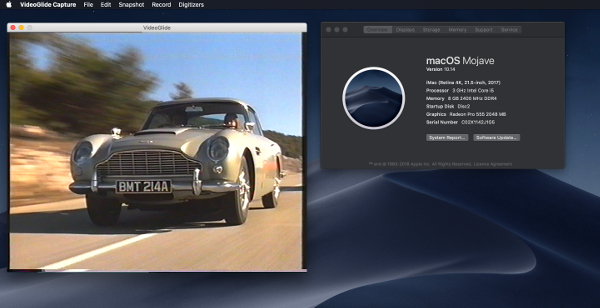 You can burn a DVD using the Burn OSX software included with the kit, no need for iDVD. There are a couple of free applications available for editing too. Q. Where can I read product reviews of Video-2-Mac? A. Look at our Amazon reviews (mostly 5 and 4 stars) and eBay feedback (99.9% positive). Q. Is the Video-2-Mac kit available anywhere else? A. We only supply Video-2-Mac from this site, Amazon & eBay. Q. Is the Video-2-Mac kit suitable for use with Mac OS Mojave 10.14? A. VideoGlide's developer echofx.com posted on their website back in February 2018 that it wouldn't be compatible with Mojave 10.14 (as VideoGlide is a 32 bit app, and Apple were expected to only allow 64 bit apps in Mojave), but we've tested it on a fresh install of Mojave 10.14 on 24th September 2018 and we're pleased to report it still works perfectly. It's likely that VideoGlide won't work on 10.15, when that gets released in September 2019, so if you have VHS and camcorder video to convert on your Mac, do it soon. We accept payment by Visa, Mastercard and Paypal using the 'Add to Basket' button below. We're based in Knutsford, Cheshire & have been supplying computer goods by mail order since 1989. Please email any other questions to tim@trcomputers.co.uk or call Tim on 01565 640739. Order before 1pm Monday to Friday and we'll post your kit the same day. All UK orders are sent by Royal Mail's 24 hour 'Signed For' post. Prices include VAT & we supply a receipt. All hardware is new and includes one years warranty. If you aren't completely delighted with Video-2-Mac you can return it for a full refund. (Please return within 28 days of receipt).